Contains: 5 album box set: two regular studio albums, two collections of outtakes, leftovers and rarities (one of them renamed, edited and updated by The 39 Clocks exclusively for this box set) plus a previously unreleased live LP from 1981 Furthermore: includes comprehensive deluxe booklet ("Revelations") featuring mind-blowing new trivia and secrets (vinyl: 28 pages, CD: 44 pages)The 39 Clocks are one of the most magnificent bands ever to have emerged from Germany; Diedrich Diederichsen, German pop boffin, considers them to be the nation's best band of the 1980s. The legendary duo from Hanover broke every rule in the music business, without exception. And - above all - with attitude. The very appearance of the Clocks was beyond compare: the odd grainy black and white photograph reveals two wiry figures in Beatnik attire and sunglasses. They are elusive, incapable of being categorized, unless the category is a little bit weird. Their real names have been eradicated ("never had one" - Clocks), replaced by cryptic initials (CH-39, JG-39), less than randomly reminiscent of molecular chains like LSD-25. The weirdness is reflected in their music: sizzling irradiated, repetitive. The outrageous rumours surrounding the duo are the stuff of legend: strung out live performances with vacuum cleaners instead of guitars, frequently facing a throng of concertgoers with a tendency to boo, flee the venue or threaten them with physical violence. Sometimes exasperated promoters simply pulled the plug (literally). So many stories. The Clocks project really began to take shape in 1979 when they turned away from punk and created "psycho beat", positioning themselves as the antithesis of the emerging NDW/German New Wave movement. Their music is a futuristic, definitively urban, evolution of American garage punk from the 1960s. Their stylistic modus operandi: expressionless voice, English lyrics with an intentionally heavy German accent, dirty sound, cool monochrome image. Those lacking in imagination might identify touches of the Velvet Underground and stop right there, but many other influences were also at work: from Salvador Dali via the Troggs, Suicide, Peter Handke's Offending The Audience, Antoine to Tiny Tim, Kurt Schwitters, Can and NEU! The Clocks themselves spoke of "at least 123" sources of inspiration. In early 1980s Germany, the 39 Clocks were, at one and the same time, a panoply of discernible influences and a singular phenomenon with a clear, inimitable sonic identity. 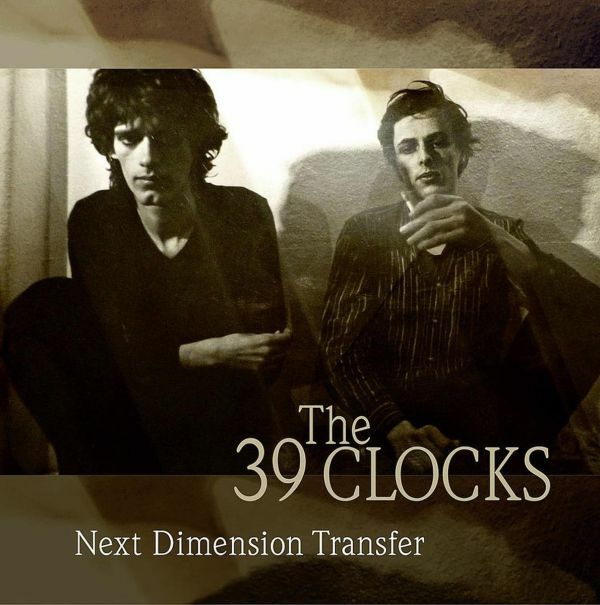 Time and again, the 39 Clocks succeeded in pushing back the borders of experimentation a little further: barely tolerable, protracted live improvisations, atonal passages, background noises, extreme lo-fi and a tinny beatbox test the listener's patience.